Barbara Clarke was raised in London, Ontario, a city that encourages the visual arts and is known for its regional artists. In this environment, Barbara learned to draw in charcoal and paint in oils. It was later, while teaching in Southern Ontario, that she was introduced to watercolour painting at the Doon School of Fine Arts in the Kitchener- Waterloo area. That medium continues to be an important focus of her art. After settling in Mississauga, Barbara studied visual arts at Sheridan College, taking courses in painting and drawing, figure studies, photography and watercolours. It was here that Artist-teacher, Gery Puley, became influential in developing Barbara’s knowledge and enthusiasm for watercolour. Other studies have included colour theory and design principles at Ontario College of Art. Barbara continues her studies by taking workshops and courses in local and regional venues with well-known instructors, such as Brian Atyeo, Steve Rose, and David McEown. 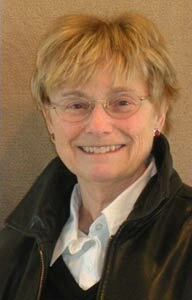 Barbara is a member of Visual Arts Mississauga; Clarkson Society of Artists; Central Ontario Art Association; ArtWorks Oakville, Neilson Park Creative Centre, and the Mississauga Arts Council. Through workshops with local art groups, Barbara has been exploring the possibilities of acrylic paints and using this versatile medium more in her art, while still exploring the wonder of watercolour. Barbara has participated in numerous local and regional exhibitions. Awards have been won at juried shows. Commissions have been completed. She is an active volunteer for several of the art associations. Her paintings are hanging in homes throughout the Greater Toronto Area, in Alberta, Nova Scotia, California and Europe. Recently, Barbara was a finalist for the MARTY Award that is given out to the established artist of the year, by the Mississauga Arts Council.